BARA’s submission highlights how the airport operators’ claims and the Commission’s draft conclusions are not grounded in the practical commercial content of the airport services agreements. Baggage outcomes for 2018 are used to show the lack of airport operator accountability. BARA focussed on the need for the Productivity Commission to take the genuine and legitimate concerns of international airlines over problems in airport services seriously. BARA provides a collective voice and actively engages with suppliers, governments, regulators and investors on major issues that affect Australia’s international aviation industry. 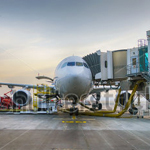 BARA’s publications cover the provision and pricing of essential aviation infrastructure for international airlines, establishing the groundwork for the outcomes we seek. BARA’s members include many of the world’s largest airlines, carrying 90% of all international passenger flights, and most exports and imports of freight cargo, to and from Australia.